12. 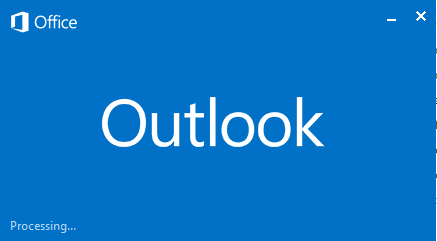 If you were creating a profile from the Mail 32-bit menu, choose the new profile as the profile to use every time Outlook is launched. Hit Apply and OK. Then launch Outlook. You may see the splash screen and then the option to let Microsoft use your information. 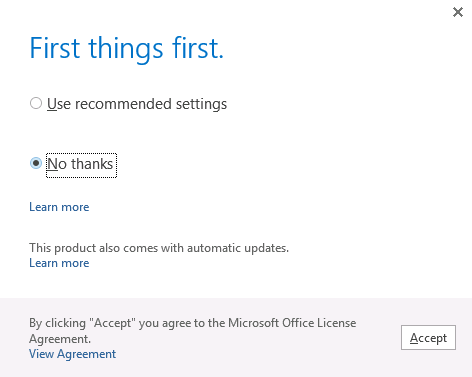 We recommend choosing “No thanks” and then hitting Accept.